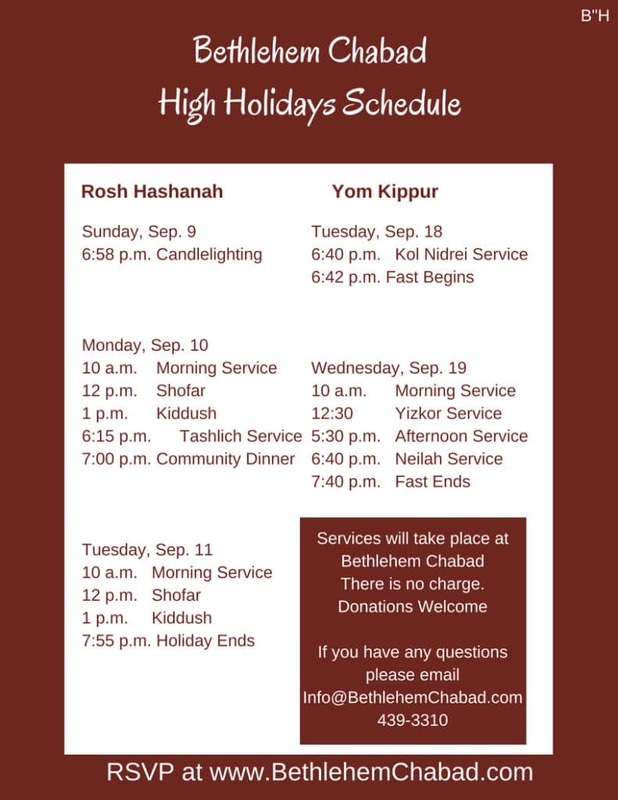 To join Chabad for the High Holidays is to feel at home. Whether your background in Jewish prayer and practice is extensive or limited, attending services at Chabad will leave you feeling enriched, connected, uplifted, and inspired. I would like to give a donation in honor of the High Holidays!